Migraine Monologues: Carousel: “You’ll never walk alone”. Where and from whom do you get most support? Carousel: “You’ll never walk alone”. Where and from whom do you get most support? Where and from whom do you get most support? Your GP? Friends? Migraine Charities? How do you find comfort in knowing you’re not alone? Just this past Friday The Migraine Trust released a statement (or rather a warning) that migraine sufferers in the UK do not receive enough help and support. There are an estimated 8 million of us in the UK alone, isn’t it time we got the help we needed? Where can we get help & support? Health Professionals to make informed decisions about the best treatment and care for headache and migraine sufferers. Headache and migraine patients to find information about the quality of services and care they can expect. Service providers to examine the quality of the service they deliver and assess improvements. Commissioners to commission only high quality and cost effective services. Quality Standards will inform payment mechanisms and incentive schemes under the new commissioning system. You can also get in touch directly with The Migraine Trust if you have any further questions. They have evidence based fact sheets, free, on-line, plus a free advocacy andinformation service. The National Migraine Centre also has a fabulous website and if you don’t feel you’re getting anywhere by yourself, or with your GP, you can book yourself in for an appointment with a migraine specialist. You don’t need a GP referral and you pay by donation. I do believe, however, that building a relationship and understanding with your GP, is vital and can help a lot. But you just might have to help them help you! I often refer to the National Migraine Centre as migraine mecca. The moment I walked up the cobbled steps in Charter House Square, London, I felt at home. I felt I had finally found a place and people that totally understood and supported me. I think I pretty much sobbed my way through my first appointment as I was just so grateful to see a Doctor who could explain, help and empathise. And who, quite simply, believed me! I had seen so many different specialists, I’d wasted about 5 years being told I was depressed, the pain was ‘in my mind’, it would go away eventually and my condition was steadily deteriorating as a result. The key lesson I gained from my appointments at the National Migraine Centre, was how to live with migraine, not just how to treat it effectively. Triptans had been shoved in my hands a few years earlier but no one had ever taken the time to explain that I shouldn’t take too many, how the life cycle of some triptans and migraines work etc. I was taught tips and tricks that totally changed my understanding of the condition I was living with. My GP also received detailed letters about my condition, which meant I'd get the care I need at the primary level too. So, to all those in the UK who don’t feel they’re getting the help and support they need – demand it. You deserve it. It’s your right. The Migraine Trust and the National Migraine Centre and the patient run charity, Migraine Action, are there for you. Don’t suffer needlessly. As they sing in Rodgers & Hammerstein's beautiful musical Carousel, 'You'll Never Walk Alone', because you're not alone. P.S I find it impossible to listen to that song without crying, it's so beautiful. I'm sure all Liverpool supporters agree. Below are a list of my favourite blogs and other sourse of information on migraine and chronic pain conditions that I have dipped into over the years. To return to the blog promt, I can not underestimate how comforting and amazing it is to talk to other migraineurs. If you’re not on twitter, sign up now, there is an incredibly supportive community there. I’ve found more support and understanding and advice through ‘on-line’ twitter friends than I have with ‘real-life’ friends…if that makes sense. The Migraine Monologues Book Club is also a huge source of joy to me. I not only learn more about migraine but love discussing the books and other facets of living with migraine, with the brilliant members on-line. People who go through what I go through. If you want to join us, please do. You don’t have to walk alone through life with migraine. And that's just the start. With all this (reliable) help and information available, together, we can beat migraine! 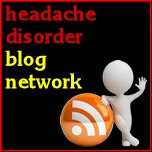 This blog is all part of a Migraine Awareness Week Blog Challenge to raise awareness and increase information about migraine. 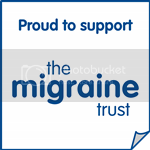 To find out how else you can get involved this week check out the Migraine Trusts' MAW page. I wholeheartedly support your advice. If it wasn't for you or Fran I wouldn't know about the NMC and the wonderful community that exists online.